At FirstView Eye Care Associates, we use the innovative OPD III Wavefront system. This remarkable instrument uses the most advanced digital technology available to help us better evaluate your unique needs and provide you with the best possible vision. 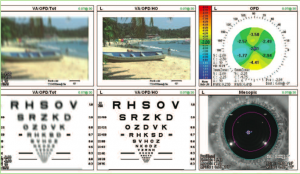 Far more than just a refractive examination, this instrument gives us a comprehensive understanding of your complete visual system and optical pathway. Trouble with excessive glare and less than optimal vision when driving at night? Our OPD III Wavefront system can help. Feel like you just aren’t seeing your best with your latest pair of glasses? 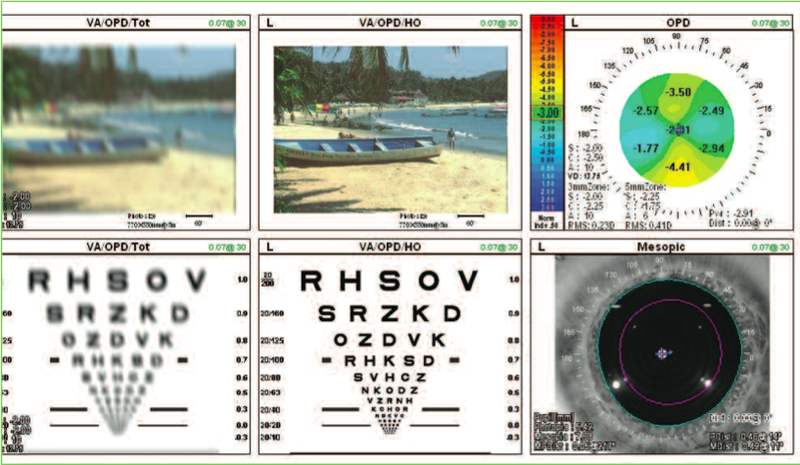 Our HD eye exam using the OPD III can tell you why.